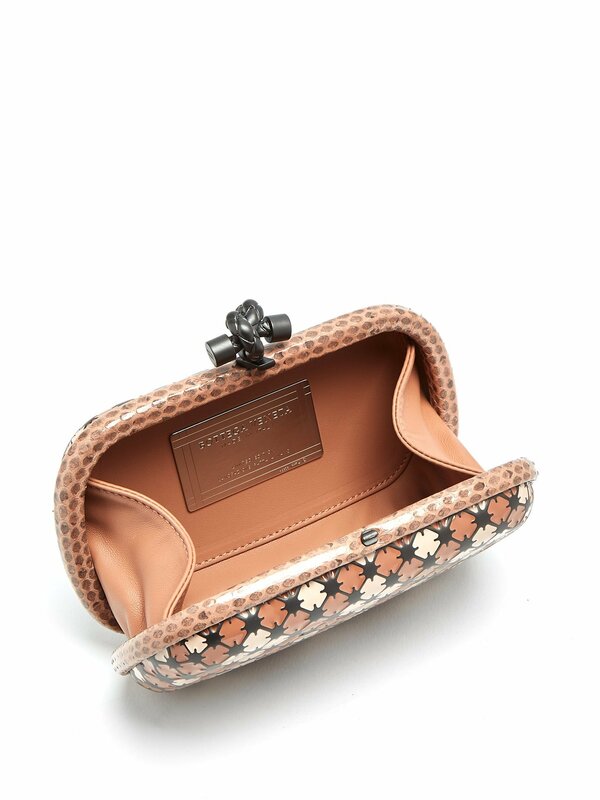 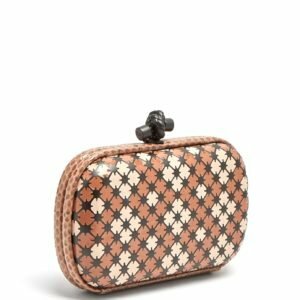 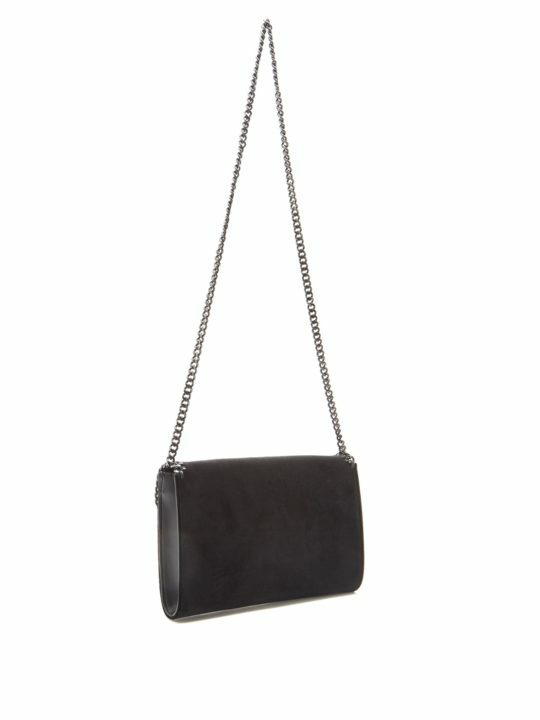 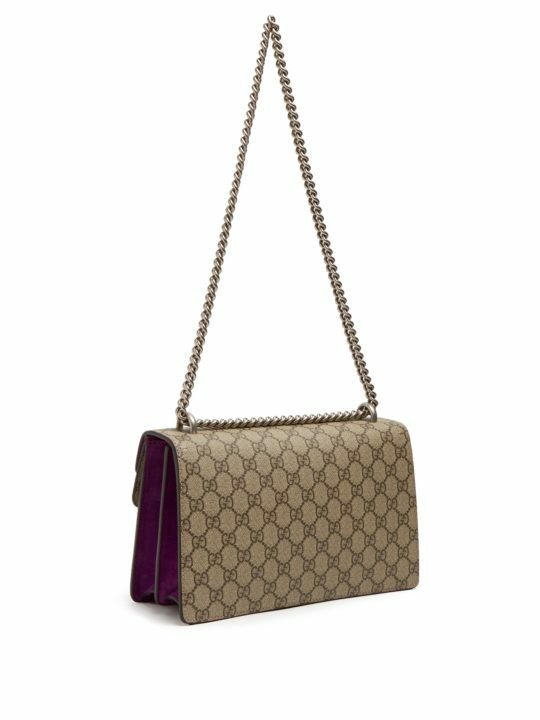 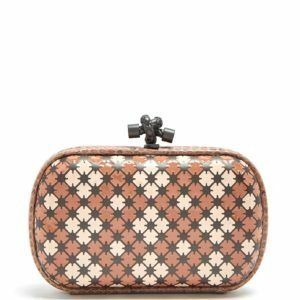 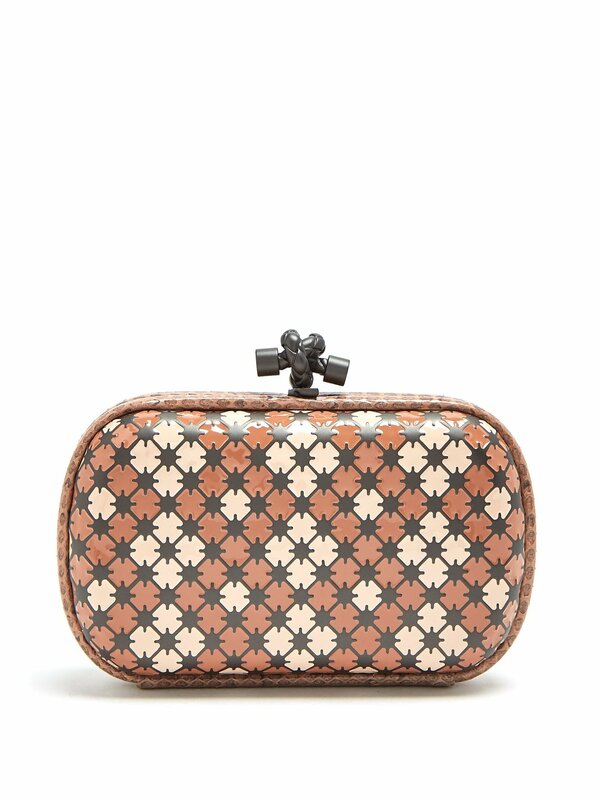 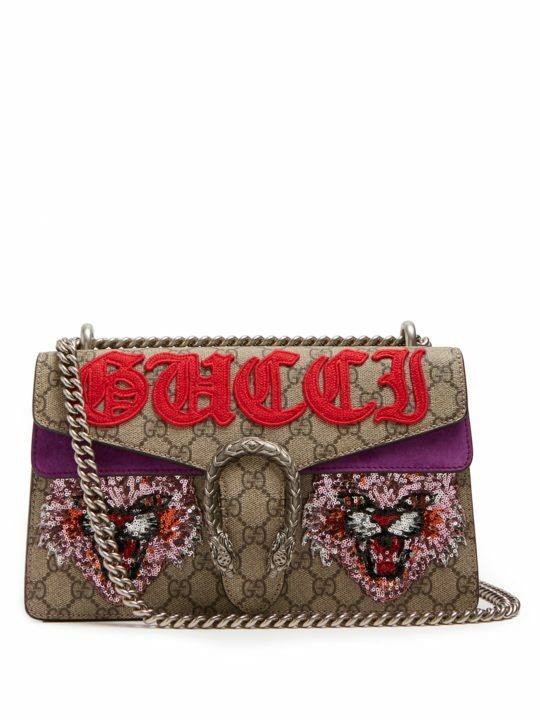 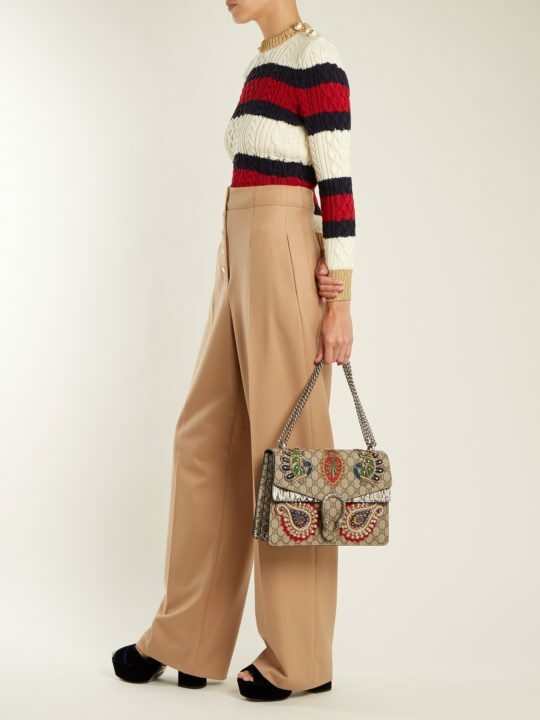 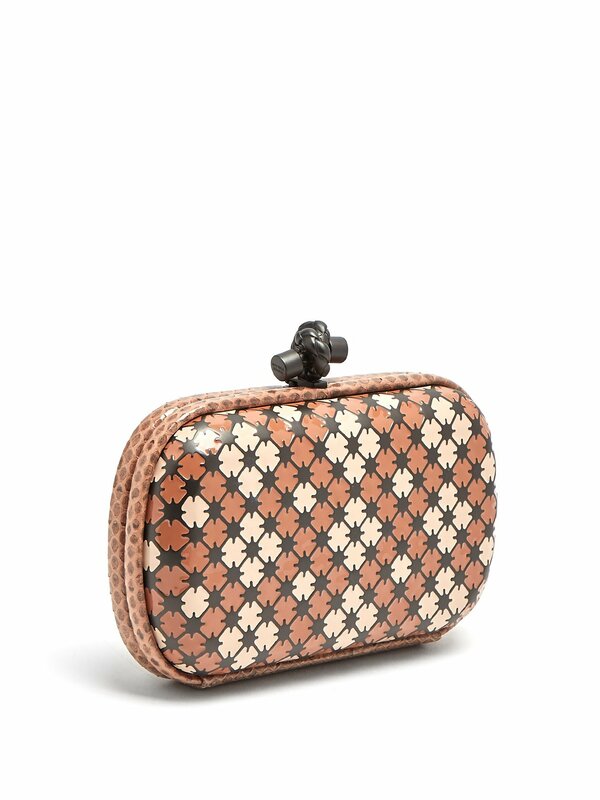 Bottega Veneta looks to its expansive archive to design the hand-painted pink and tan-brown enamel tile pattern that decorates this Knot clutch. 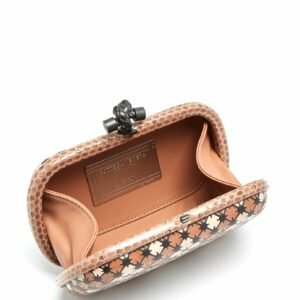 The product of Italian craftsmanship it’s set with a pink watersnake frame that is topped with the house’s hallmark intrecciato-engraved knot clasp then lined with antique-pink leather. 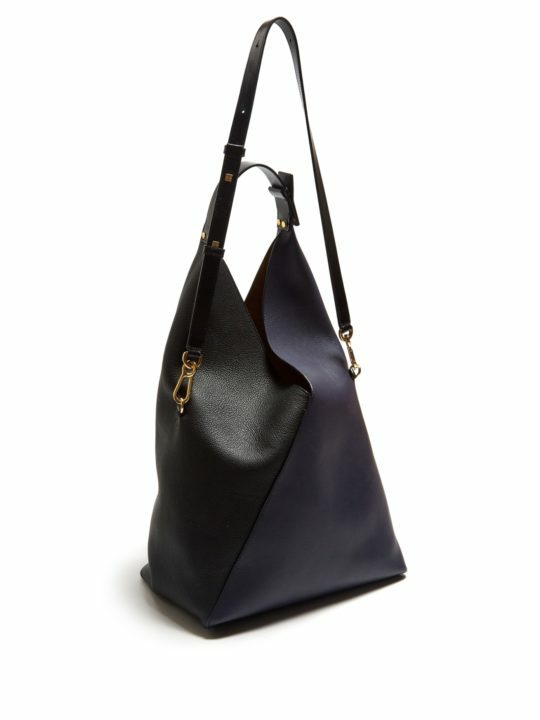 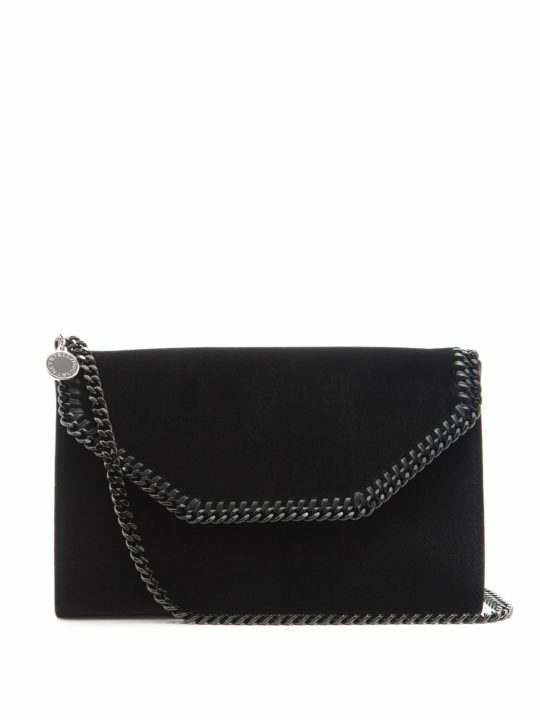 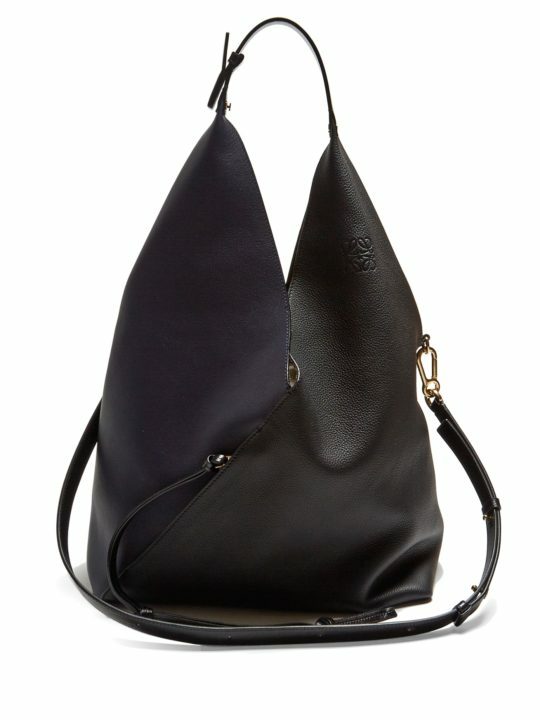 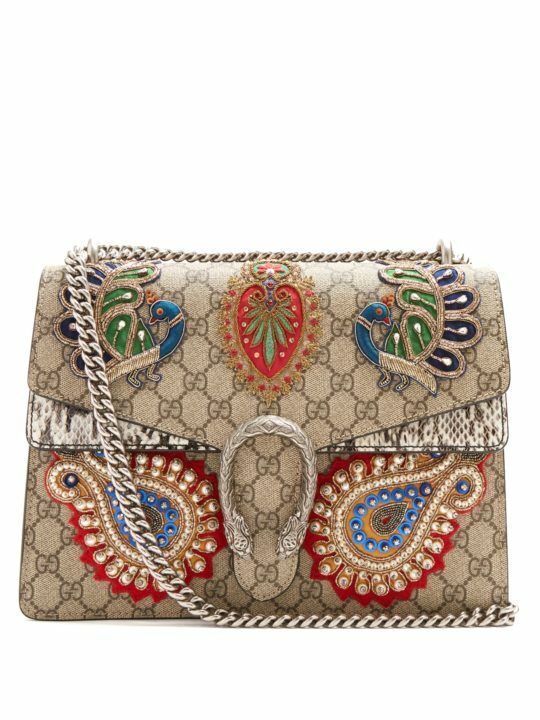 Let it bring an artisanal accent to a tailored evening dress.